Kerala PSC releases syllabus for HIGHER SECONDARY SCHOOL TEACHER (JUNIOR) HISTORY exam. The HSST HISTORY given below helps you prepare for the upcoming HIGHER SECONDARY SCHOOL TEACHER (JUNIOR) HISTORY exam, which is going to conduct on December 03, 2018. 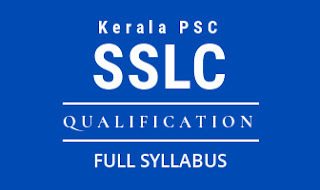 Kerala PSC HSST History detailed syllabus is available below. HSST History Syllabus 2018 will help to prepare for the HSST History exam. 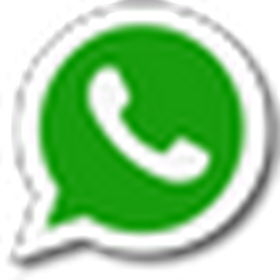 This is detailed HSST History exam 2018 syllabus prepared from Kerala PSC HSST History Exam Syllabus. Kerala PSC announced official HSST History Syllabus for HSST History exam 2018 , which is going to conduct on 03-12-2018 (December 3, 2018). Kerala PSC invited Applications by online only from qualified candidates for HSST History in Kerala Government Service. Kerala PSC HSST History Exam 2018 scheduled to conduct on 13-10-2018. Detailed HSST History Syllabus in provided in below paragraphs. History-Defenition-Nature & Scope Historical Sources-Kind of Sources-Source Analysis-Source Criticism Techniques of exposition (Foot Notes-Bibliography Index etc) Greco – Roman Historiography. Church and Arab Historiography. Renaissance, Enlightenment, Romanticist, Positivist and Marxist approaches in Historiography. Annales and Post structuralist approaches – History from below – New History. Historical consciousness in Ancient India – Itihasa – Purana tradition – Jain Budhist traditions. Sultanate and Mughal historiography. Modern Indian Historiography – Imperialist – Orientalist/Indologist-Nationalist-Marxist and subaltern – Recent Trends in Indian Historiography. Early civilizations – Mesopotamian – Egyptian and Chinese - legacy of Greece and Rome. Medieval State and Society – Feudalism – church in Europe – Arab civilization. Transition to Modern Age – Renaissance, Reformation, Geographical discoveries. Modern Revolutions – Scientific-industrial – Agrarian- French, Russian, Chinese-American Revolution - English Revolution of 1688 Struggle for colonies and First World War. Nazism, Fascism and Second World War. World Organisations – League of Nations and U.N.O. Cold War – West Asian Crisis – Non Aligned Movement. Emergence of New World Order- Disintegration of Soviet Union – Globalization. Early Indian Culture – Harappan – Vedic and post vedic cultures – Megalithic culture in South India – Ancient Tamilakam. Dissent/Protestant Movements to Brahmanism – Jainism and Budhism. State in Early India – Pre Mauryan and Mauryan – Gupta Age. Feudalism Debate. Advent of Islam – Sultanate period – State and administration. The Mughal period – Revenue and Military administration. Medieval South India – Satavahana – Chalukyas Pallavas – Vijayanagara – Cholas and Pandyas. Colonial State – Revenue settlements – Western Education and colonial knowledge Economic Impact of colonialism – Drain Theory Indian Renaissance – Social and Religious reform movements. Rise of Indian Nationalism – Formation of Indian National Congress – Moderate and Extremist phase. Gandhian Era – From Non-cooperation to Quit India. Revolutionary Nationalism – Leftist Movements – Peasant movements. Towards Freedom – Two Nation Theory and Muslim League - INA – Transfer of power. Nehruvian Era – Making of the constitution – Economic planning – International Relations – Integration of Native State – Linguistic reorganisation – science and education Post Nehru Age – Indira Gandhi and Emergency – Economic liberalisation and its impact. Caste and communalism in Modern India – Coalition politics. Sources – Archaeology/Epigraphy/Literacy/Numismatic and other sources Historiography – Recent trends Prehistoric cultures – Megalithic culture – concept of Tinai. Transmarine contacts of Kerala and its impact. Belief systems – Jainism, Budhism, Judaism, Christianity and Islam. Agrarian expansion of Kerala – Aryanisation. Temple and Brahmin land control Age of Perumals – Nature of State – Trading Corporations Emergence of Naduvazhi Swaroopams Advent of Europeans. The colonial intervention – British land revenue administration in Malabar – Tenurial reforms of Travancore and Cochin – English education and printing press, Martandavarma and Modern Travancore – Saktan Tampuran. Mysorian Intervention and its impact. Political Revolts and Protests. The Pazhassi Revolt. Revolts of Velu Thampi and Paliath Achan. Kerala Renaissance – Narayana Guru and other reformers. Anti-caste movement – Reform movements in Kerala. Caste organisations – Temple entry movements. Nationalist movements in Kerala – Malabar Rebellion of 1921 – Nature of the Revolt – Salt Satyagraha. Travancore State Congress and the struggle for Responsible Government. Cochi Rajya Praja Mandalam. Left movements – Karshaka Sangham in Malabar - Punnapra vayalar. Aikya Kerala Movement – First Communist Ministry Historic Legislations – Liberation Movements. 'Kerala Model' Development – Panchayat Raj and Peoples planning. Literature and culture – Origin and Development of Malayalam Language. Art forms of Kerala.